Based on the award-winning books, The Case For Christ, The Case For Faith, and The Case For a Creator are now available in this convenient DVD Box Set. The Case For Christ: Retracing his own spiritual journey, Lee Strobel, award-winning former legal editor of The Chicago Tribune, cross-examines the religious experts from Cambridge, Princeton, and other universities with tough, point-blank questions. 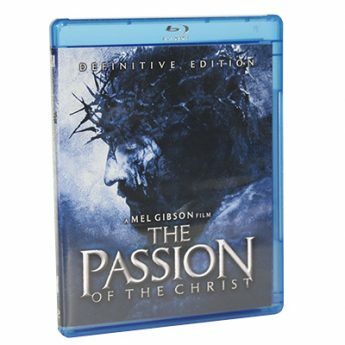 This remarkable documentary is a riveting quest for the truth about history’s most compelling figure. The Case For Faith: Despite the compelling historical evidence, many people grapple with serious concerns about faith in God. Strobel turns his tenacious investigative skills to the most persistent emotional objections to belief – the eight “heart” barriers to faith. The Case for Faith is for those who may be feeling attracted to Jesus but who are faced with intellectual barriers standing squarely in their path. The Case For a Creator: When objectively considered, does contemporary scientific evidence point toward or away from a supernatural Creator? 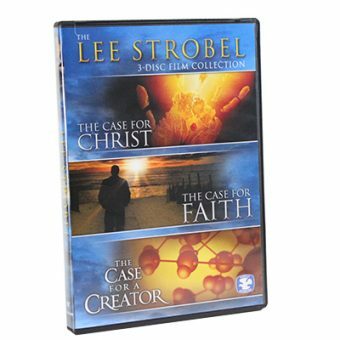 Using interviews with scientists and scholars from a wide range of disciplines for the answers, The Case For a Creator is a remarkable film about Strobel’s journey from spiritual skepticism to a profound faith in the God who has etched His indelible signature upon every galaxy and living cell.